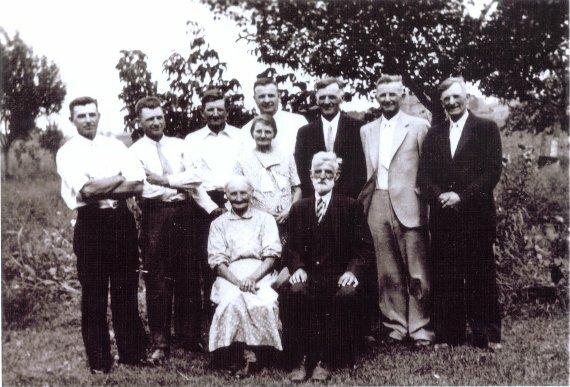 Joseph and Lena Roggenbuck family in 1935. Left to right: Henry, Leo, Eduard, Arthur, Joseph, Paul, Frank. | | | | Elizabeth E.
| | | | Matthew J. | | | | Sarah S.
Added more details at the Roggenbeck branch. Thanks to John Roggenbeck.